Here’s an easy tip to clean a dirty toilet! 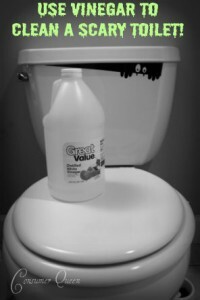 Use 1 cup of vinegar in the toilet bowls to disinfect it. Allow to soak for a couple of hours and then scrub with a toilet brush! Get that cute toilet decal by clicking on the link below!